Kennedy’s Office Moving Services started with a vision of a tightknit crew of young, hardworking movers made up of close family and friends. The man behind the vision was Rick Kennedy. He had a successful track record in the moving biz, having been a top salesman for two of the largest commercial office moving companies in Vancouver in the 90s. 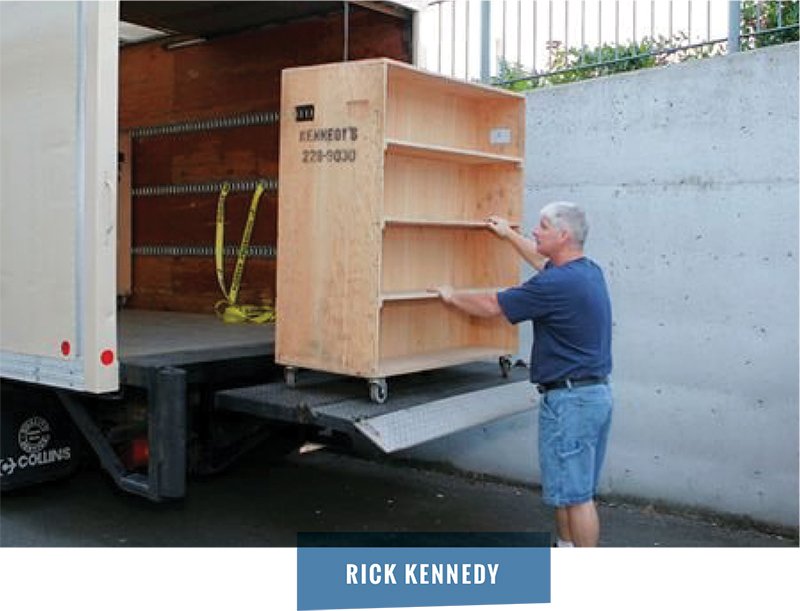 In 2000, Rick and his wife started Kennedy’s Office Moving Services. Rick’s charisma, honesty and straightforward approach to business dealings earned him the respect and repeat business of his clients. As the company grew, his two sons joined the ranks. Over the years, Kennedy’s has maintained its core team of movers, meaning you’ll often see the same friendly faces on jobs. Rick’s legacy, built on excellent customer service, is carried on today by his wife Sui and son Dylan. Kennedy’s Office Moving Services celebrates 15 years of moving and keeping customers satisfied, and looks forward to helping you with your next move.